LEDs have been around for a number of years now, and the quality has gone up while the cost has slowly come down. The combination of low power consumption paired with low heat emission, quickly made these a favorite among shooters who wanted to work fast and in tight places. The Zabolights I'm going to tell you about certainly fit this description. For the record, this is an independent review. Zabolight is not paying or sponsoring myself or fstoppers in any way for my opinion on their products. According to their website, Zabolights are the creation of Greg Sabo, who is a working DP that also does a lot of lighting installations. Zabolights have a handful of videos on YouTube that show various tests and product demos, and if you're near Ohio, you can even rent some of their light kits. The Zabolight LEDs are primarily for video production, and they have several kits to choose from depending on your needs and budget. I don't see any reason why you couldn't use these for photography as well, but you likely wouldn't buy these for that reason alone. I purchased their Location Kit for shooting interviews, and added a battery package so I could light subjects in the field when I wouldn’t have any access to power. The Z1 Bi-Colors have a sturdy build, housed in what appears to be an aluminum casing. The knobs feel especially nice, and move fluidly. The battery and power attachments feel just as solid. The Zabolight Mini Fresnels on the other hand, seem to be made of a hard plastic. They are light too, but the mounting attachment has already given me some headaches. It's a good combo joint similar to this, with a 1/4-20 thread adapter that screws into the bottom of the light itself. It's a good attachment, I just find it tricky to tighten and align correctly. The built in barn doors are also fixed in a single direction, which is a bit of a bummer. I wish these were able to rotate so that I could craft the light better. The stands that came with the kit aren’t going to win any awards, as they are basic stands. They do their job well enough, but to be a bit nitpicky, I like ARRI stands a bit better when it comes to locking and extending. Maybe these ones just need to be broken in? It's amazing how something as insignificant as how a light stand locks can be noticeably different from one brand to the next. 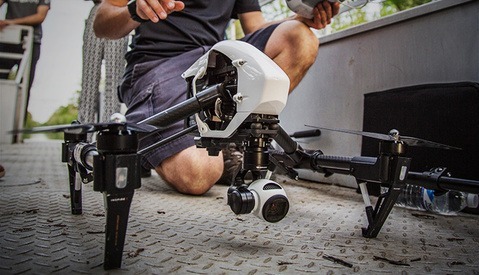 The controls on the Z1 are placed just where they need to be, and the power attachment smartly fits into the battery bracket, rather than dangling around the light stand. When dimming the light, power does seem to jump from 0% to something like 20%, as the individual LEDs turn on sharply at first, and then gradually increase to full power. Not a big deal for me, but it would be nice if it smoothly dimmed all the way down. The Chimera Softbox attachment for the Z1 works well, once it’s set up. Getting it set up was a bit more cumbersome than it needed to be, but my other Chimera is annoying too, I shouldn't have been surprised. The mini fresnels have a dimmer, which works fine, but I did notice some flickering one time when I was dimmed at around 50%. I nudged the dimmer ever so slightly and the flicker disappeared, and did not return. The minis also have a color dial, making them usefulfor 3200-5600K setups. Aesthetically, the kit looks great. The Z1 LEDs are slim, and are a joy to work with on set. The mini fresnels are like little pepper lights, and besides being plasticy, look fine on a set. The case is solid, and I’d show up to any shoot toting this thing around. We shot a two-person “talking head” segment for this Kickstarter Video, using a single Z1 with the Chimera as our primary source, with another Z1 turned away and dimmed down for a nice fill. For the trailer below, we used a single Z1 with the Chimera attachment as our key source, a reflector for fill, and a mini fresnel as a rim light. Look for the interview segments scattered throughout the video. Additionally, the interview with Miguel Ventura at about 2:42 is lit with a single Z1 bounced off of a wall. I really feel that having the Z1 kit made setup and production much easier than if I was dealing with a something like an ARRI or Lowel kit with hot lights. Setting up a 3 point lighting look for sit down interviews was no problem, and being in a small room for 10 hours was possible due to the low heat emission. The quality of light was fantastic, and I quite like how the open-face LED looks on someones face. Throw the Chimera on and the rolloff smooths out real nice. I don't know about you, but I like to make my interviews a bit on the warm side. Once I was white balanced, I could adjust the key source color ever so slighty to get that extra touch of warmth. When it came time to get interviews on the road, it was super easy to slap a battery on a single Z1 an throw it into a large gear bag. Someone can easily hold it for an extended period of time and not get tired. If we were indoors, a turn of knob let us match closer to the artificial lighting. When we went outside, another quick turn of the color dial and we were closely matched. 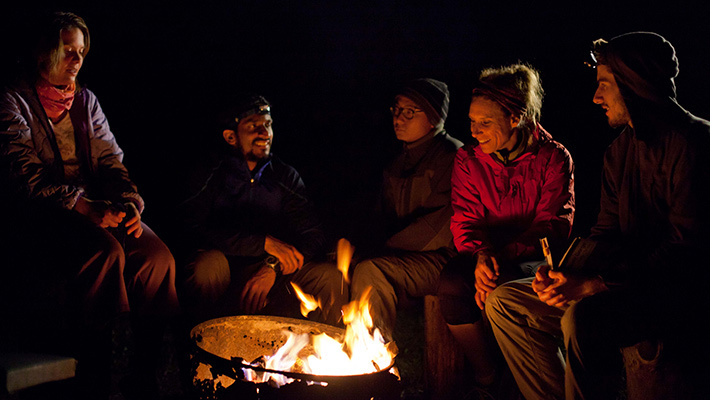 Here’s another example of a shot where we used the Z1 to add a rim light to a campfire scene we shot. We never had any issues using the Z1 either in a controlled setting, or in a run and gun situation. I've only used the mini fresnels in sit down interview shoots, and they have performed just fine 98% percent of the time. One time we noticed a slight flicker when partially dimmed. Once fixed, we could not re-create the issue. As far as output is concerned, you can see in the video we metered the light to compare it to the Litepanels. In my opinion, these pump out plenty of light when at 100%. I'll post the footcandles readings I measured in case you want to compare them to your own lights. The battery kit came with a charger for the gold mount batteries, and apparently the batteries were shipped fully charged. That's great, but I had no idea. There were no instructions, and they displayed a red light instead of green, so I found that to be counter-intuitive. I called their customer support and was able to figure out what the deal was without too much headache. The fresnels are lacking a bit in terms of the build quality, and the stand adapter came loose pretty easily. The brief flickering I noticed seemed to be a fluke, but it was cause for minor concern. As I noted in the video, the price is what makes this kit a tremendous value. A single Z1 costs just $1,295. 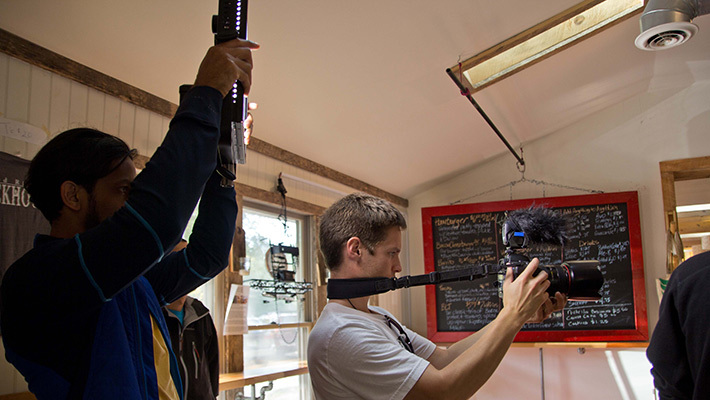 Compare that to a LitePanels 1x1 Bi-Color, which is $2,695. The mini fresnels sell for about $500, so at that point I’d suggest going with the Zabolight Z4 fresnel, which was just recently released and is only $100 more. If you don't need a fresnel, have a look at the Ikan IB500. If you do need a focusable light for your kit, a hot ARRI 150W mini fresnel runs for about $350. My personal favorite lights of this style are the Dedolight 150W DLHM series, but those are more expensive, at $650 each. The kit I purchased was called the location kit, so I got 2x Z1, 2x mini fresnels, a big case, and I added a battery kit and Chimera softbox. All this cost me just less than $5,000 for the whole thing. Comparing this to the cost of a standard video production lighting kit, like the ARRI Softbank II Kit, which ran almost $3,000 when it was purchased, I think this LED kit was a good value. It’s more than a replacement, it’s an upgrade. You’re getting a lighter kit, that can be battery-powered, emits less heat, uses less power, and can roll the color from a dial rather than needing a book of gels. I’ve rented LED lights made by ARRI and LitePanels for more than a few shoots, and I’ve been very happy with their performance. I’ve always wanted to own a kit, but their high cost made it prohibitive. With this Zabolight kit, the cost was finally affordable, and I’m very happy with the results I’ve been getting so far. The Z1 panels are awesome. I don't love the mini fresnels, but they do their job– small, focusable lights are a must-have for an interview kit. I'm looking forward to using them on a lot more shoots, and not having to deal with the problems that are common to hot, tungsten lights. I'm amazed at how much money people are shelling out for LED panels. It's always important to consider the color rendering index (CRI) when buying LEDs. They are known to peak at specific wavelengths (greens) and are notorious for muting reds. If you are on a budget, the LED 200WA-56 is a good option. 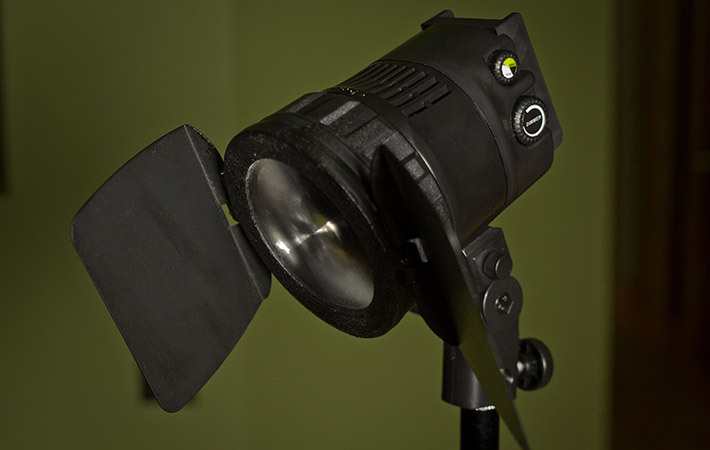 Not only do they provide a bowens mount, they are rated at 85+ CRI and have 9500Lux/m for under $500 a piece. Depending on who you ask, LitePanels are a cheap brand...I've been using a knock off brand for awhile. Work just fine. I'd like Creamsource. I would recommend checking out the Westcott Skylux for the price. It is more versatile than any light panel with the ability to add a softbox, umbrella, snoot, grid, etc. It also has a CRI of 94, which is about as good as you can get on photo LEDs. Last thing is the price.. $999. I have used both Zabolights and Socanland lights and I can tell you two things: 1. the Zabolights are identical to Socanland lights and 2: they are priced at double the cost for the same output, features and light quality. I bought a Socanland 50ctd for $799.00 instead of $1295.00 from Zabolights from www.intellytechusa.com that is identical to the Zabolight Z1. Don't be fooled by Zabolights marketing, they are the same lights just rebadged. I have never heard of intellytechusa before, but if these are in fact the same (from their website, that seems to be the case) this would be a great deal. Thanks for sharing! I was recently told by somebody (but haven't confirmed) that the Zabolight is just a rebranded Socanland. 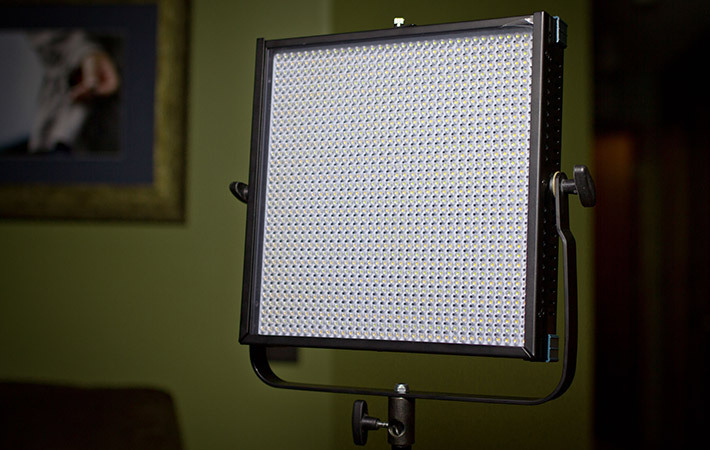 Have you looked at the price of a Litepanel 1x1? It's all relative. I agree that there should be cheaper LED light alternatives, but the reality is that the LEDs that are cheap usually have some nasty side effects like green spikes, or just low CRI. You might be able to use them in a flashlight, but for video or photo work you'll see the ugly. shared which I will share here later. I see you were at Red River Rockhouse in Kentucky? I hope you enjoyed their delicious dinners! 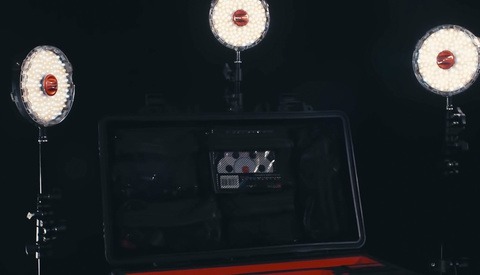 If you want cheap high-quality lights you should take a look at the F&amp;V K4000 light kit, which sells for $1,050 for three 1x1 lights with a compact carrying case. 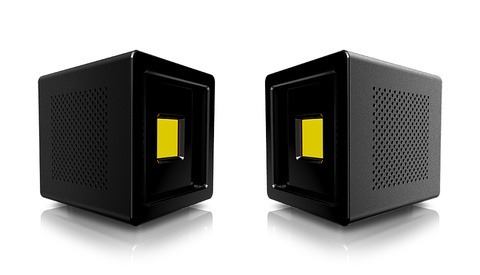 I have the daylight version of these lights, and the color and quality of the light units is very good. Go with the 100 Watt Nova-CTD if you want a lot of light. Go with the 50 Watt 50CTD or D-50CTD if you don't need a massive amount of light. Or maybe one of the light kits they offer would suit you better. Have you used the 1x2? Yes, all very true... Zabolight drastically marks up the price and re-brands Socanland products. Welcome to the world of retail! That's why you can feel thankful that you did a little research before investing at least a grand on such an important purchase! On a separate note, after ordering several Socanland D-50CTD's over the years (and being very happy with them). I've ordered the new Socanland Nova-CTD 1x1 High Power Bi-Color Light Panel and am absolutely THRILLED with it. It uses a new type of LED technology which is why it is 4 times brighter than a LItepanels 1x1 Bi-Color. You can actually use the Nova-CTD out-doors on a sunny day and still get ample amounts of light from it. Most importantly, it produces beautiful Daylight and Tungsten color temperatures (definitely in the 93-96 range) and its built with a metal frame so its not going to break after a year of use like some competitors out there. If you buy 3 units they give you a price break. Or, if you buy 2 with batteries they discount it as well. Just a little advice for you :). Highly recommended. Nice review thanks, I use Airbox softboxes to make the quality of the light much softer. Check them out at Airboxlights.com. I think the price of these lights is disgusting, just as other brands are. I'm not making a Hollywood blockbuster you know, and I don't imagine most of us here are either! Ridiculous.